Compelling content – everyone talks about it, yet it is as difficult to articulate as it is to create. Seminar after seminar, blog post after blog post, content marketers provide the same trite advice: Create compelling content. This is usually followed by examples of compelling brand content in various mediums – videos, infographics, memes, e-books, podcasts, etc. It’s as though the answer to the million-dollar question of how to compel people with content is – make the content compelling. This advice isn’t that helpful. For lack of a better word, compelling answers on how to create shareable, or dare I say, viral content, are lacking. 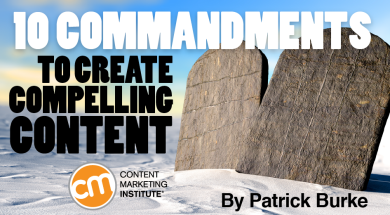 I took a stab at it and present you with the 10 commandments of how to create compelling content. While these are actionable content-creation techniques, no commandment is to be taken as gospel because the method must fit the marketing strategy. But, hey, as content marketers, we all know that titles are 90 percent of the battle. We love to reminisce and relive fond memories; it’s psychology 101. Use this human tendency in your favor. Find nuggets of forgotten pop-culture lore that relate to your brand, and create content that evokes nostalgia. For instance, a cellphone brand could recall the evolution from the bag phone to the flip phone to today’s smartphone; or an education brand could relive the maddening experience of using microfiche and the Dewey decimal system. There is likely to be some sentimental artifact related to your brand that people yearn to remember. People love themselves. It didn’t take the advent of the selfie for that to be evident. So create content that is customized to your audience. Use their names, their faces – anything that makes the content about them. 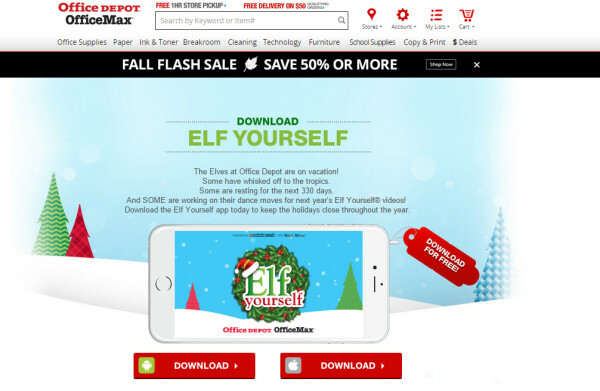 OfficeMax used the power of this insight for its Elf Yourself website, transcending viral media into mainstream culture. And then there’s Coca-Cola, which took a long-established product and increased sales by 2% in summer 2014 by slapping first names on its cans and bottles as part of its Share-a-Coke campaign. 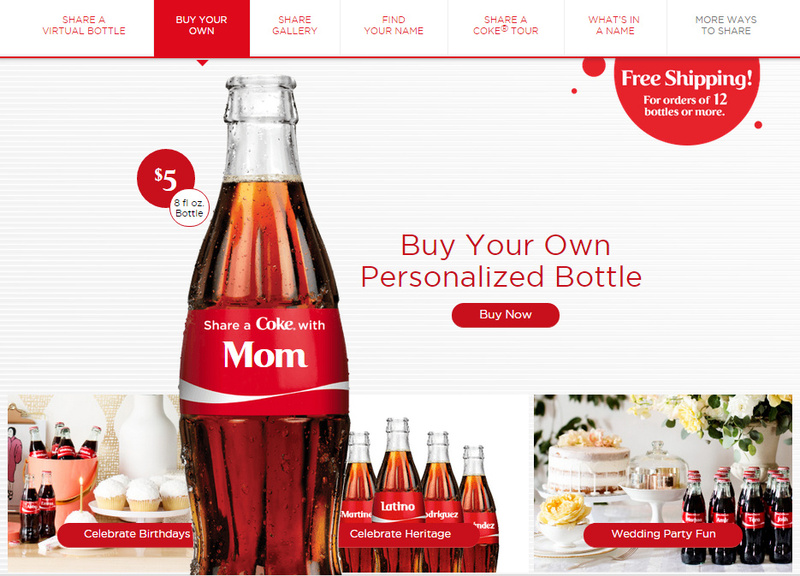 It brought back the campaign in summer 2015 and even allowed people to personalize and purchase their own bottle through the website. Those campaigns were massive, but the core insight can be applied in countless ways, from featuring user-generated content on your website to placing your email subscribers’ names in your subject lines. Nothing gets a conversation started better than polarizing your audience. Cats vs. dogs, Apple vs. Android, Yankees vs. Red Sox, you name it. You don’t have to pick a taboo or politically divisive subject and you don’t even have to pick a side – just plant the seed and stay on the sidelines while people engage on their own. Travel site First Choice asked Pinterest and Twitter users which country was the most beautiful in the world. 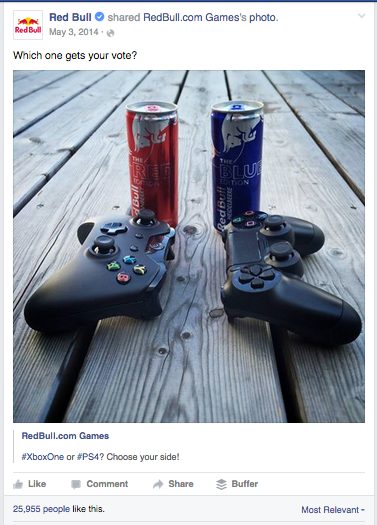 Red Bull used Facebook as a battleground for Xbox vs. PlayStation. What better way to get people to share content than provoking them to passionately argue their side? Capitalize on the human side of your brand by being human in your content. And remember, just like humans, brands are not perfect. They make mistakes and they can laugh at themselves. Imagine if a brand like NASA apologized for making us memorize in school that Pluto was the ninth planet in our solar system? The Twitterverse would be over the moon. The more serious the brand, the more effective the self-deprecation can be. President Obama hosting a Between Two Ferns interview with Zach Galifianakis at The White House to promote the Affordable Care Act on the Funny Or Die website is an excellent example. The satirical exchange between the two generated over 30 million views and helped lift traffic to HealthCare.gov by 40%. It is never more evident that we are suckers for sentimental content than when the ads with cute puppies air during the Super Bowl. What do puppies have to do with beer? Nothing, but they can hold the entire country’s collective attention. We also love a good underdog story or a debunked myth that makes us see ourselves differently. Dove capitalized on this technique when it created a time-lapse ad revealing how a model gets her made-up beauty. It revealed the myth behind commercial beauty, reinforcing Dove’s ongoing messaging about what true beauty looks (and feels) like. 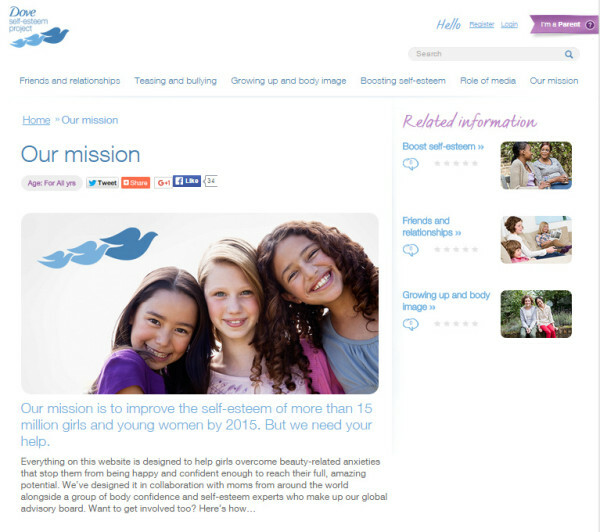 Dove takes the initiative to a heightened level to draw on emotions when it incorporates its mission to improve self-esteem in young girls by helping them “overcome beauty-related anxieties that stop them from being happy and confident enough to reach their full, amazing potential” and invites viewers to join in that mission. A contrary hook is when you say the opposite of what everyone else is talking about. Doing so immediately inserts your content right where you want it – into relevancy. If everybody and their mothers are talking about how amazing Cronuts are, create a top 10 list of why Cronuts are the worst thing to happen to the culinary world since McDonald’s McLobster. Be it the huge volume of expert content for small-business owners on American Express’s Open Forum, or the countless recipes from Whole Foods and Trader Joe’s, content marketing has given rise to the prevalence of brands providing free, useful content. Creating content that is free does not mean churning self-serving, evergreen articles replete with shameless plugs and links to your product pages. It means investing the time to create something of value to people. It can be as simple as one piece of useful, well-designed content, like a cooking cheat sheet or in-depth, brand-free buying guide. Become a trusted resource for valuable information first. Brands often forget that they possess some of the most valuable, interesting, and rare information available. From airlines owning data on the best time to buy plane tickets to insurance companies knowing the safest times to drive, there is bound to be a piece of useful data your brand owns that it can use to create genuinely unique content. One of the most overlooked sources of content is your customers. They ask questions about your brand everywhere – via your customer service team, internal website search, social media, etc. Identify trends in the questions they are asking and feed them the content before they even realize they are asking for it. The content might not go viral, but your customers will appreciate it, and it will lessen the burden on your social community managers and customer service reps. There are no shortcuts in content marketing. Pouring money into a third party that’s offering a content marketing “solution” can be a recipe for mediocre content if you don’t continue to be involved. Good content requires painstaking efforts. If you are using your company’s data to create an e-book, mine the data tirelessly. If you are creating a new online resource, find out what has been created and make something 10 times better. Investing time into the quality of your content is always more effective than investing money into the quantity of your content. So, there you have it – 10 compelling answers to that million-dollar question: How can we create content that compels people to consume it? While the potential answers total more than 10, they all have one common denominator. They all start with a great insight. You can learn more about creating compelling content from dozens of successful entrepreneurs who have created a profitable business using content. Download the CMI guide, 6 Steps to Building a Content Inc. Empire. Chief Marketing Officer at Grapevine, Patrick is passionate about creating multi-channel marketing strategies for his clients using his background in content marketing, social media, SEO, and email marketing. Find him on Twitter @Patrick_H_Burke and LinkedIn or check out his Portfolio.